Over the past 4 1/2 years I have been involved in litigation , it certainly was not what I had experienced in our courts when I was a police prosecutor. But then I did leave in 1989. It appears that in the civil jurisdiction no evidence is needed at all as in my case I was taken to court for defamation.. for speaking the truth.. for trying to ask questions as to why a non existent organisation had law enforcement powers. Defamation was never proved. the only evidence the court relied on was my affidavit in mitigation of damages which unfortunately by its nature shows that the complainant is not worthy of his word. in producing that document the court judged me as continuing to defame when there has never been a decision that I did no more than speak the truth. A friend who knows what I have endured sent me this – apart from the sexual references it could fit the scenario of my case . Please do not be fooled by New Zealand’s least corrupt status , this video can also apply here, please note it does not apply to all judges or all lawyers but it does happen. Sent: Wednesday, 23 February 2011 7:17 p.m.
Could you please by way of OIA provide the following documents. 2. The name of the law firm which provided a legal opinion as to the purchase and associated involvement in Film studios being an activity in which council could engage and that this was not ultra vires and had a mandate for such an activity. a. Please provide documentary evidence that these obligations were considered when deciding to Purchase the cool stores and in operating film studios. 4. In the 2009 Annual report Waitakere city Holdings Limited as at 30 June 2009 reports with regards to Prime West Management Ltd on page 45 “The company is insolvent and the investment has been written down to nil.” And page 49 this company is now insolvent. a. 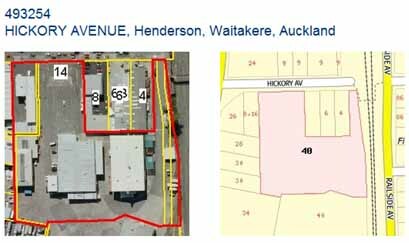 Please supply all documentation with regards of an advancement of funds of $49,902 from Waitakere properties Limited to prime west management which was insolvent at the time. c. Please provide all supporting evidence, agreements etc which provided for this advance and required repayment of this sum during the 2010 financial year. d. Documentation which considered the amalgamation of an insolvent company with a solvent one . e. What investigations the council conducted into the insolvent companies cause of insolvency and any documents which show why it was insolvent. 6. Please advise the names of the unsuccessful parties who were contenders for the partnership and the considerations which were given to excluding them . a. Please also provide documentation as to why these parties had not been given the same opportunity as the successful company Prime west to have representatives present at the confidential council meetings. 7. The council ultimately entered into an agreement with Prime west Limited a company which had been set up by the “ advisors “ and in which the advisors had significant control , Please provide any disclosure documents made to this effect by Mr Coldicutt , and Maher of B&A Management Limited . 8. In selling the land and buildings to the company what consideration was given to options such as tender, please provide all documents which discuss this option. 9. On 28 June 2006 Council accepted Tony Tay group And its associated entities as shareholders in Prime west. The reality is that Tony Tay Trust which was not owned by the Tony Tay group ( and therefore not associated ) became the investor and then on sold to Tony Tay Films in which there were shareholdings by 3rd parties. a. Please provide documentation which discusses entering into an agreement with one legal entity and then proceeding to act with another entirely separate entity. b. Documents with regard to any diligence done as to whether Tony Tay trust was owned by Tony Tay and his wife or if they were acting as trustees for person and persons unknown. c. Discussions and documents which considered the appropriateness of Kieran Boru FITZSIMMONS, the on site manager also being a part owner of the property through his shareholding through his company REHOBOTH ENTERTAINMENT (NZ) LIMITED in Tony Tay film Limited. 10. 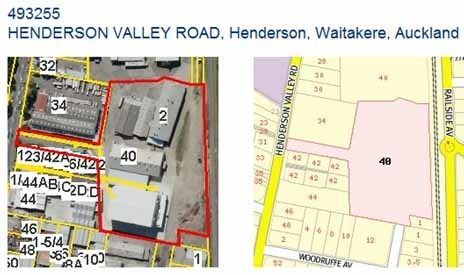 On 6 March 2007, 60,000 shares were transferred from Waitakere properties Limited to Waitakere city council, please provide the minutes of the council meetings, or any correspondence which facilitated and explained this transaction . a. and considering that Kensington Swann were the solicitors for council was it seen as a conflict of interest that Kensington swan was also acting for a company in which council was a minority share holder. b. Please provide any lawyers accounts for Kensington swan and itemised charges associated with this joint venture which was paid out of public funds. 12. Any documentation in which Mr Graeme Wakefield declared is interest in WAITAKERE CORPORATE LIMITED and states the purpose of this company. I look forward to your response this is a matter of public interest On the one hand our water supplies are being considered for privatisation yet on the other hand the council runs movie studios. I am particularly concerned with the nature of the trading in this matter as it appears to reflect the same ignorance of what constitutes a company and a trust as which occurred when the council allowed a council manager Mr wells to contract to himself for animal welfare services through the name of a fictitious trust , which also happened to be involved in monitoring animal action in the film studios , this action was carried out by Mr Wells Wife. It appears to me that Waitakere city was very loose about what constituted a legal entity and who represented it, I wish therefore to highlight the past so that the opportunity for third parties to profit from the public will not be something which is capable in the future. Please find here with a full chronology , those mentioned in the chronology have been shown to be connected and for your interest I have also attached news item Tax loophole no sin, says charity . The recurrence of biblical names, the associations of the same persons interlink this with a group of people who share the same religious practices this could be coincidental or maybe not. It appears that this is all about using public funds, public funding and tax avoidance. The council has to be careful not to be associated with this or be a vehicle for this due to many councillors not being up to speed with regards to company and legal structures and the principals of transparency and corruption. Axminster system.. we sweep it under the carpet..then we don’t have corruption. This week I received back several official information act requests in one I had asked Mr Key about state capture.. this was sent on to MAF to answer.. Of course they didn’t know . I have now made a request for the ombudsmen to have the whole thing investigated considering it was brought to the attention of MAF in 2004 that AWINZ did not exist it has been allowed to continue to trade through its agent Mr Wells, with seemingly no accountability. The work I am doing with Gary Osborne who runs the accountabilitynz Blog is interesting and it would appear that this all ties in neatly with public facilities being used for private enterprise .. known overseas as state capture. Those in control of councils and in places of control can quietly rip off the tax payers and rate payers and ask them to pay more while enforcing laws on them.. keeps them busy and distracted while those at the top of the food chain stuff their pockets with proceeds from the public dollar. I just love Gary’s take on it In most parts of the common wealth our law system is based on the Westminster system but in New Zealand we have the Axminster system.. that is we sweep it under the carpet. It is apparently condoned by all except house wives who know that the mess will spill out and its best to deal with dirt in small manageable portions. But we have a good back up system if any one speaks out or draws comment on the bulge under the rug we sue them . Not a problem just burden them with financial costs and the economics of our over priced under resourced justice system which does not rely on facts and evidence will take care of the rest. Perjury is not an issue as it is not enforced by the police and you can always say that the person who drew comment on the bulge in the carpet was vindictive.. .heaven forbid if they can speak the truth and be believed our bulge could be EXPOSED. Its time to get accountability. Time for our useless public servants to start earning a wage, they are there as our representatives they are there to protect our society , but somehow think they are there to get a wage packet and get part of the action of what ever is going. Its time for the average New Zealander to get his head out of the sand and speak up . its our country and were being fleeced. Comments Off on Axminster system.. we sweep it under the carpet..then we don’t have corruption. “The people who invest in the film feel they are doing something worthwhile with their money,” he said. “In a sense, they are choosing how the money is spent rather than the Government. Some might prefer to do it this way than to fund abortions,” said Massam, whose organisation publishes the conservative Christian newspaper, Challenge Weekly. Had those in local government done some research they could have saved many millions of dollars but as with the granting of law enforcement ability to non existent organisations such as Neil Wells “AWINZ “ it just goes to prove that our government and local governemnts never check and certainly don’t verify. Not surprisingly the majority of those involved in this are Baptists who through their church have a high level of affiliation. Another council Baptist affiliation which was highlighted in my research was that of Dale Ofsoske who is connected to Tony Tay through the Tabernacle . I present this chronology to show that the writing was on the wall for the Auckland film studios before it even began. It was never more than a vehicle that people were going to use for their riches and not something for the public good. Also Read the blog Tony Tay Film Limited in Receivership. Official information act request MAF and minister and office of the auditor general . Animal welfare institute of New Zealand (AWINZ) has at all times been a trading name . This trading name without proof of who it represented ( that is the parties who were alleged trustees) was given approved status under the animal welfare act 1999. The approved “ organisation “ has never been an Organisation under any enactment which provides it with the ability to act in its own name, ie independent existence from those using that trading name. 1. Neil Wells personally .. in 1999 when he made an application for approved status, and for funds falsely claiming that a trust existed. b. or appointed or approved any person to sign on the individual trustees behalf in such an application . the deed specifically states that powers of the trustees can be delegated in writing. If such a document had existed then this would have had to have been produced, and kept on record , before one could sign for and on behalf of the others. In December 2009 the minister accepted the application to revoke the approved status from the last group listed above , Could the minister please advise what checks were carried out and what evidence was presented to him to satisfy him that these people wer the one and the same “ organisation using the trading name Animal welfare institute of new Zealand. And what evidence the minister has that would indicate to the public who at any time during the existence of the approved organisation , were the persons or person who used that trading name. and by which means was accountability to the public addressed given that no one knew who was using this trading name at any given time. Could you please also provide any discussion papers and documentation which considered the implication of providing a trading name with law enforcement powers .